1. Made of Eco-friendly latex material, environmental and non-toxic. 2. Roomy enough that should easily fit any child or adult. 3. Comfortable and breathable, see through the mask\'s mouth and nose\'s hole. 4. Creepy animal masks are pure awesomeness and sure to draw attention in any situation. 5. Perfect for Masquerade parties, Gifts, Costume parties, Carnival, Christmas, Easter, New Years Eve Party, Halloween, etc. 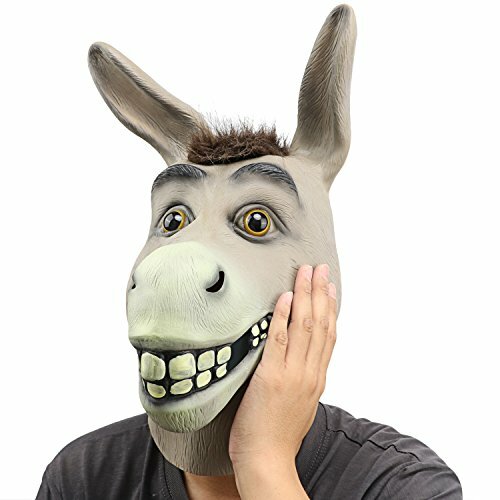 I'm not sure why this says Donkey Head Mask. I ordered Deadpool.